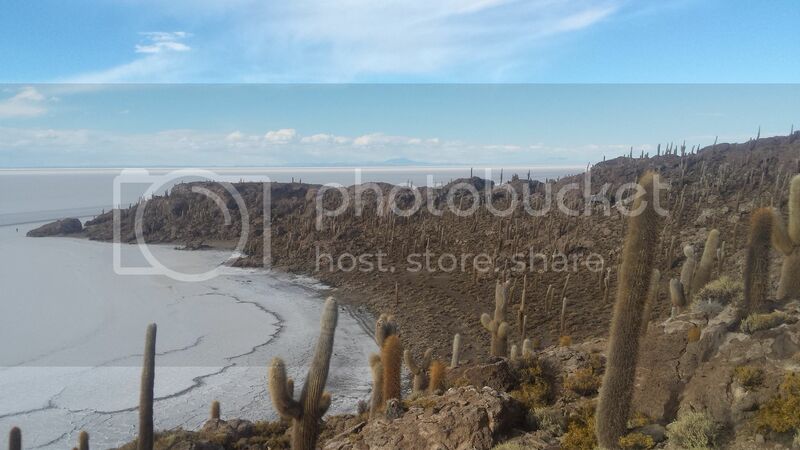 Most itineraries set by tour companies in Uyuni include three more destinations aside from the salt flat itself. Your first stop is not that far from the town center, a place they call the Train Cemetery. No need to be afraid! There were no ghosts when we went there, just tourists. 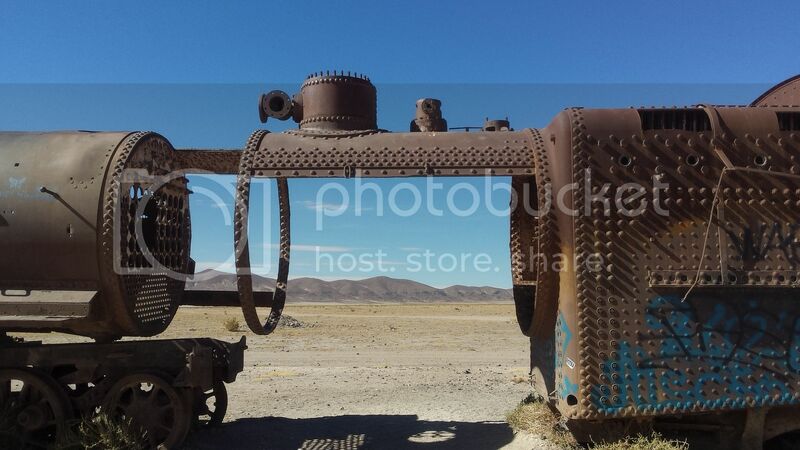 The place is just a junk yard in the middle of the desert where Bolivia’s national railway aspirations have been put to rest, in the form of scrap metal that used to be the chassis of their trains. What’s so special about the train cemetery then? Nothing, really. All I saw were tourists trying their luck with tetanus, jumping and hopping on those train skeletons like it was Independence Day. 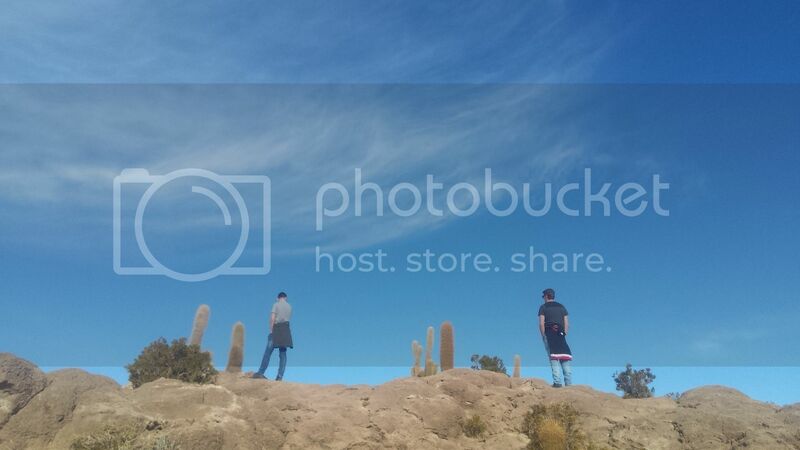 There are interesting photo ops waiting for you, what with the bright blue sky and brown mountains in the background. The place looks hot and humid at first glance, but don’t be fooled. This is Bolivia after all, and the altitude makes all the difference. Make sure you are wearing enough layers to keep yourself warm. 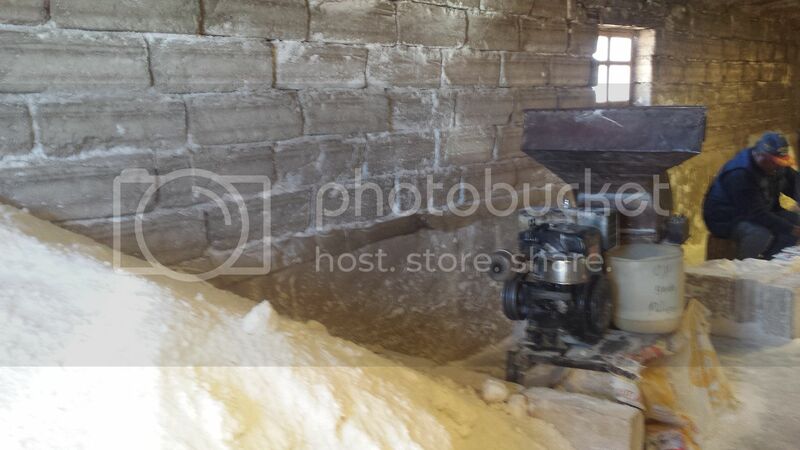 Lunch does not come until you are done witnessing the salt manufacturing process. Basically, you drive off to Colchani and once you arrive, your guide will lead you to a small house with a huge pile of unprocessed salt at the front door. Go inside and you will see an old man who will make a demo on how to process the salt, all the way to the mini bags of ready to sell products. You have to give a BOB5 (~PHP35) tip. You can also buy salt if you like, then have fun convincing Customs that it’s not marijuana. This part of the itinerary kind of bored me, but I think it is essential because it’s the get to know the locals part. 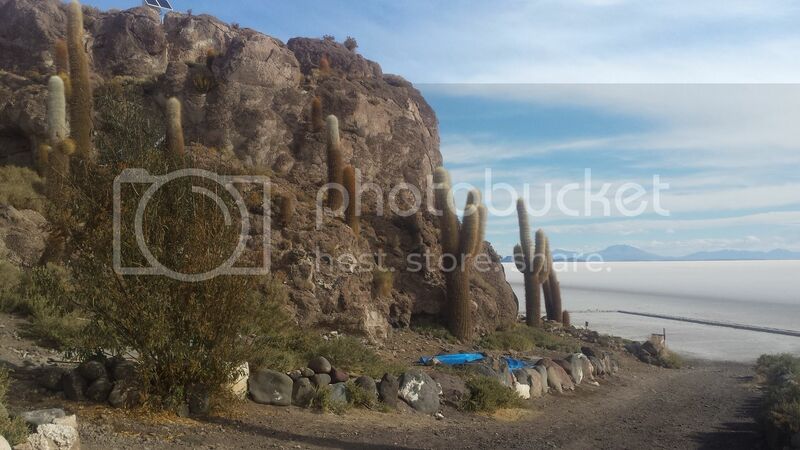 Aside from tourism, this is the most common form of livelihood in the area given their proximity to the salt flat. The interesting thing is that the products they manufacture are not even sold out of the country, which I guess keeps profit margins low. The packed lunch the tour agency provides will also be served in town, in a small house whose interior is made mostly of salt, from the beds to the tables. What follows is a 15-minute drive to the hotel made of salt. Congratulations, you have finally reached the salt flat. A big Dakar monument made of salt will welcome you, before you drive off again for almost an hour to find your own spot of white devoid of tourist infestation. Once you are done with your pictorial, you hop on the 4x4 once again, this time headed to Incahuasi. 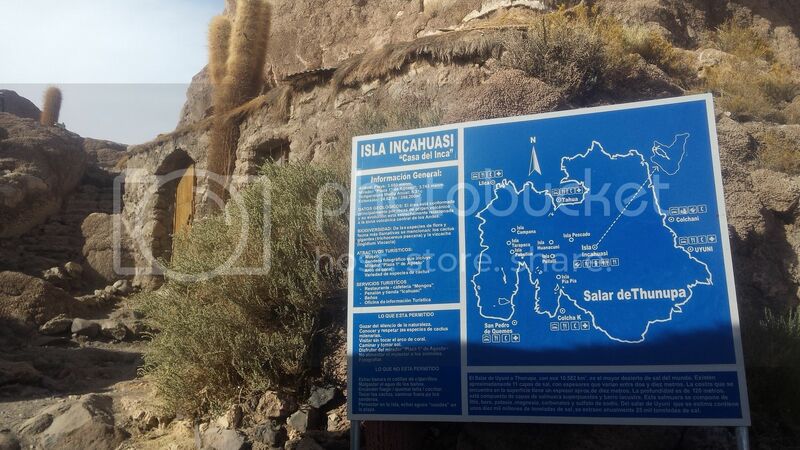 As already mentioned, this place was once a huge lake, and Incahuasi was one of the several islands that used to be under water. We are talking millions of years here, so don’t imagine the island being surrounded with water just a decade ago. It used to be submerged in the lake, surfaced, and now it’s not even considered an island anymore. What sets it apart from the rest is obviously its unique composition. 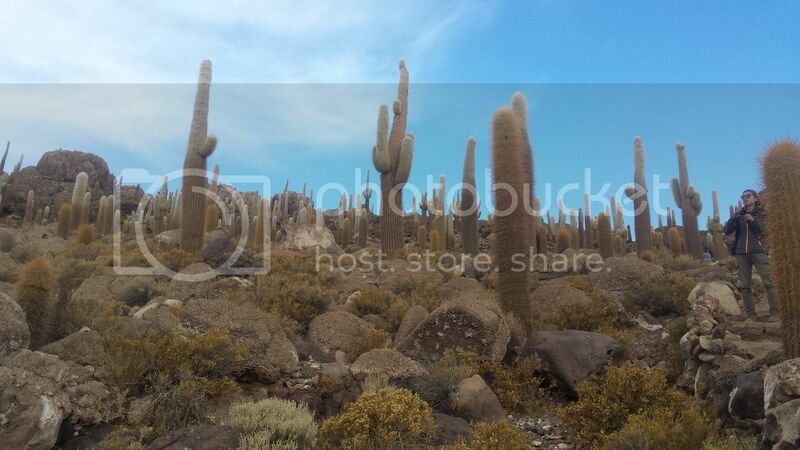 You will see huge rocks encrusted with dry corals, as well as the endless barrage of cactus visible even from afar. This island marks the end of your itinerary for the day, so make the most out of it. A 2KM climb will bring you to the peak of the highest hill, and I must say that the view from up there is worth every trickle of sweat as a consequence of the climb. Wait, who am I kidding. In this weather, there is no room for perspiration, really. But you will be short of breath at one point or another. You will then see a huge blanket of endless white, with tire marks spreading out to all directions as if asking you to choose your own path, which you don’t, because your driver does that for you. I’ve visited many islands before, but this one was unique because of the cactus. It’s also downright weird because the white salt makes it appear as though you’re in the middle of a winter wonderland, and the combination of snow and cactus just fails to make sense. It’s the perfect opportunity to make your gullible FB friends wonder how you ended up in such a landscape. At first, I thought it would be boring, but I actually ended up enjoying it. I think you will, too.